After she didn't get into Oxford, a student made an incredible collage out of the rejection letter. One that's so good, it's surely worthy of entry to Oxford. The student's mum tweeted a picture of the collage, along with her daughter's story. 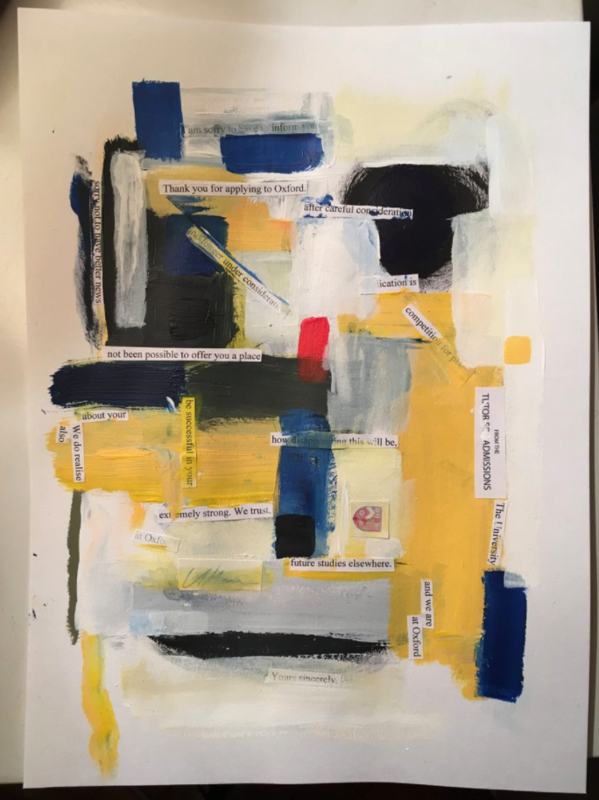 The picture includes various torn up parts of the rejection letter, including positive messages of encouragement and the phrase you never want to see on any letter: "after careful consideration". @JackDeeth @Duncan_Gates Yes, she did! @louisa_saunders @liz_lizanderson If twere one of my progeny, I would dance with joy at a perfect riposte. 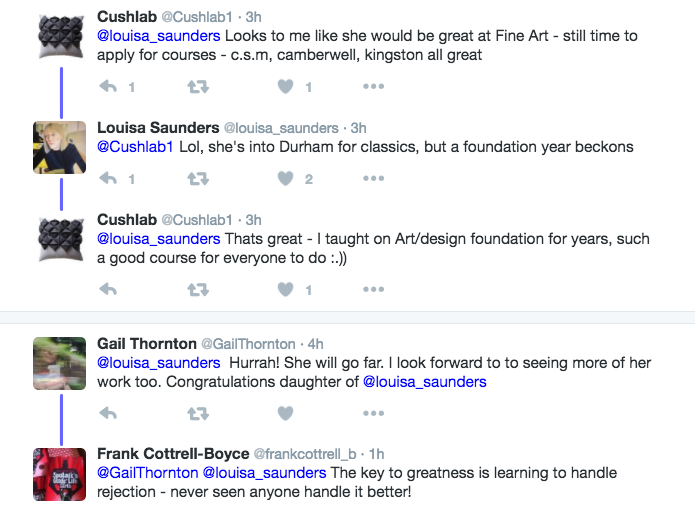 Fortunately her daughter has already got her second choice, and will be going to Durham later this year. Like this? Check out this girl's inspiring reaction to having her leg amputated.